Your car is vulnerable to attack every day. Whether you are at the grocery store, the mall, or your neighborhood salon, someone could break into your vehicle and take whatever valuable possessions you have inside. Many people make sure to lock their car doors and close their windows when they are out of their own neighborhood safe zone so they aren’t giving potential car thieves an open invitation to their stuff. But once they get home, to their tree-lined street filled with neighbors that they trust, all their safety activities go out the window. They leave their windows down enough to snake an arm through, leave doors unlocked and use their car like it’s another room of their home with expensive MP3 players, laptops, clothes and other items inside. No matter where you live you should never take the safety of your surroundings for granted. Crime happens everywhere, and even the most secured and safe-seeming areas can play host to criminal activity. Your vehicle is one of the most vulnerable places to store or leave valuable possessions and it is the last place you should leave unlocked at the mercy of vandals and thieves. No matter how safe you think it might be wherever you have it parked, you should always lock your car and remove any expensive items that don’t really need to be in the car. If you aren’t able to take out your valuables, you can always leave them in your trunk. While a super determined burglar could still break into your trunk, it’s not likely they will go to the trouble and risk when they don’t even know if there is anything worth stealing within it. If you leave items in view however, you can be sure that a passing thief will recognize the potential value and break in. Tinted windows can help reduce visibility from the outside at night, but rather than risk your possessions it is best just to remove them from the car and bring them into your home or work each time. You never know when you could experience this kind of event. That’s why you bought Texas car insurance in the first place. But the more you do to prevent insurable events from occurring, the less expensive your premiums will be and the less stress you will have in replacing the valuable items you lose. 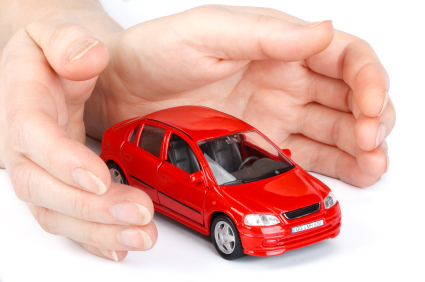 To learn more about Texas car insurance contact us at (800) 212-2641 or get a free car insurance quote.